The DigitallyDownloaded.net team are a little divided on Yo-Kai Watch. Some of the team can’t get into it when compared to other monster collecting games like Pokemon. Fair enough, too; the combat system is more hands-off, and the monsters themselves lack the adorable charm that we find in Pokemon itself. 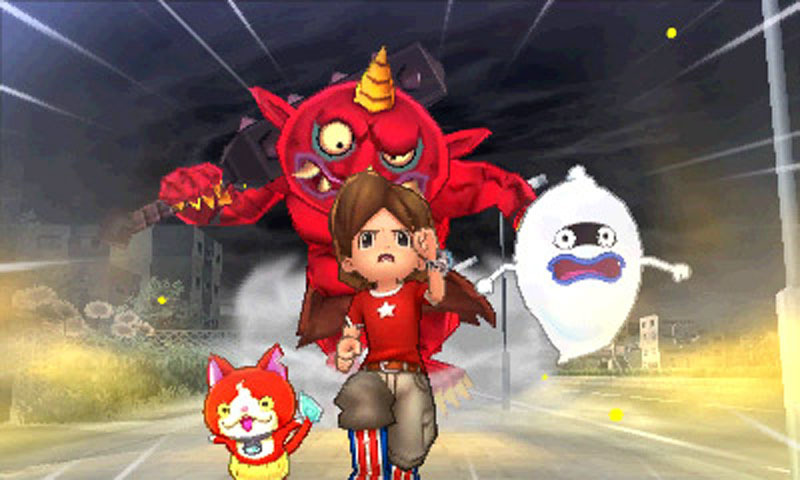 Related reading: You can read Matt's review of the first Yo-Kai Watch game here. 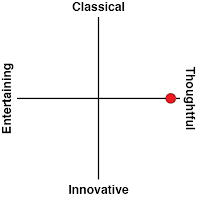 But, personally, I’m the opposite (yes, I am yet again the contrarian). Pokemon is adorable and charming and I inevitably dump dozens of hours into each new edition. But Yo-Kai Watch is charming for a different reason. One that’s quite important to me, personally; Yo-Kai Watch is a bundle of joy because it makes me instantly nostalgic for Japan, each and every time I play. In an odd way it’s actually closer to the Yakuza games than Pokemon, because I’ll start playing and then, an hour later, I’ll be checking the cost of plane tickets to Japan. Each and every time. 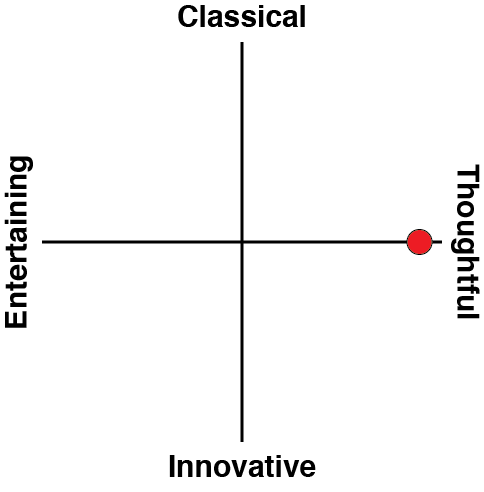 So I can totally appreciate where the other DDNet team is coming from (even when we disagree we agree that we’re all awesome). 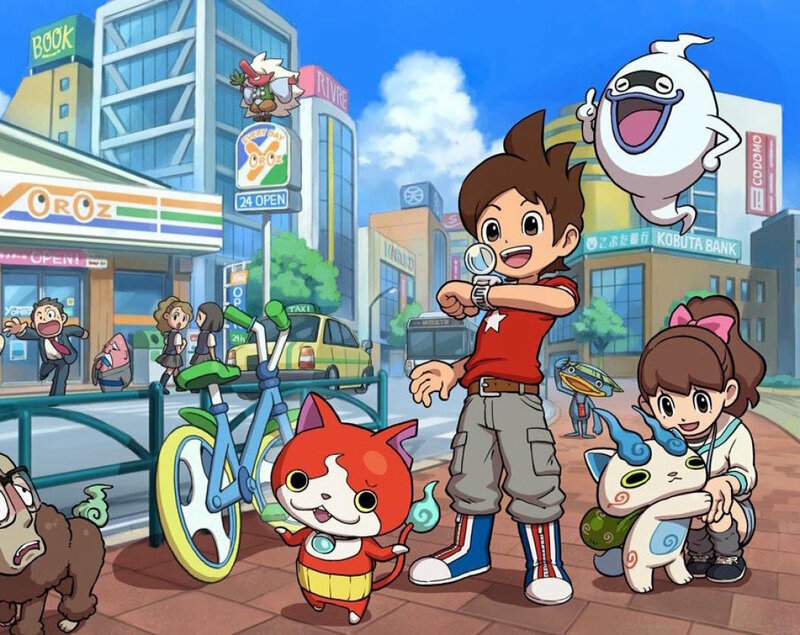 Yo-Kai Watch is a game franchise that I’ve never been sure should be localised. It’s too obscure to western audiences because, top-to-bottom, it is an artefact of the kind of real Japan that people in the West tend to be unaware of (they’re too busy looking at the pretty AKB48 girls and eating sushi by the bucketful). Pokemon takes place in worlds far removed from the real world. Sure, the games are distinctly Japanese, but Pallet Town and mountain caves filled with burly mountain climbers that think nothing of hurling living rocks at children just don’t exist in the real world (or at least, I hope that’s the case with the latter there). That’s a significant difference to Yo-Kai Watch, where the town you wander around in looks like any suburban or rural Japanese community that you’d come across. The dungeons are positively normal places; an alleyway, a path in the forest, or the sewers. As you race around completing missions you’ll drop into convenience stores (in Japan these are holy sites indeed, and completely different to what passes as a ‘convenience’ store anywhere else in the world), and you have to press the traffic light button and wait for it to turn green before you can even think of crossing. Break the road rules and a giant, undefeatable oni monster will jump out and attack you. Likewise if you spend too much time out at night when you’re meant to be tucked in bed. 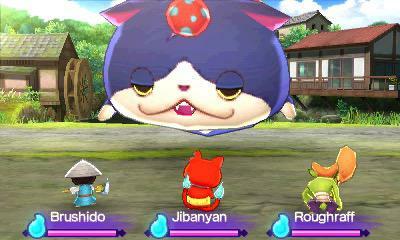 Yo-Kai Watch is a simulation of the kind of summer holiday fantasies that kids get up to, only come real. 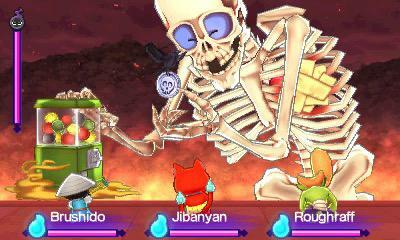 In Yo-Kai Watch 2, as with its predecessor, you’ll start the adventure with a simple game of bug catching with friends. Both games open with this for the obvious reason; to create the parallel between real-world activities that every Japanese kid gets up to, and the fantasy of catching monsters that the game is about to give them. Contextualising everything that goes on within a real-world scenario helps to connect players with the game; again, it won’t be so appealing if it represents a youth experience that you didn’t have nostalgia for, but for those who have, it’s powerful stuff. So you’ll get yourself the titular watch that gives the game its title, and then you’ll be off exploring the local neighbourhood and getting up to mischief. Though you’ll be doing your fair share of battling along the way, so many of Yo-Kai Watch’s missions are firmly grounded in normality, too. You’ll be buying doughnuts, tracking down misplaced screwdrivers, and helping girls get fashionable makeovers. You’ll be sneaking over to a friend’s home to play videogames, and sneaking into the school building where you’ll be dodging giant gacha capsules on your way to fighting a giant skeleton boss. Okay, so perhaps the last one isn’t so related to normal life, but if you take Yo-Kai Watch’s plot as allegory for the kind of fantasies that kids with overactive imaginations get up to, then it’s all incredibly believable. A good example of this in action – and where the developers preferenced the narrative and theme over standard gameplay elements – is when your little character catches a train to head out and see her grandmother in the country. First, you need to get instructions from your mother, and then you need to get on the train and wait while it stops at each train stop along the way to the countryside. Most games would just show a short cutscene of the train leaving the station and arriving at the destination, but Yo-Kai Watch 2 is so committed to recreating the experience of children through school that it has the confidence to let this period of nothingness play out. Yo-Kai Watch has a good sense of humour, too. Many of the jokes are pitched at a young audience, and play out like a Saturday morning cartoon. At the same time, like many of the best children’s cartoons, there’s also some distinctively adult humour which children will miss but adults will find more than a little amusing (or at least surreal). Yo-Kai Watch is never self-referential, but the development team were also clearly having fun with the material. You’ll carry a team of six into battle, three of whom can be active at any one time. These monsters will largely do the fighting for themselves, while you’ll be busy completing simple tap-and-swipe tasks on the touch screen in order to activate each monster’s special ability. At first this system will feel too simple; especially in comparison to the careful grooming that you undertake in the Pokemon games, but eventually some depth starts to emerge. You’ll need to carefully arrange your yokai in formation, for example, so that they can complement one another’s skills. There’s also some frantic action involved in getting healing items to yokai in moments of need, because against similar-strength enemies they can be knocked out quite quickly. And so, while the combat might be relatively simple, it’s not easy either, nor are you ever given a moment to pause and think. Related reading: There is a new Pokemon game just around the corner, but even still, if you haven't played Omega Red or Alpha Sapphire yet, you really should. Clark's review. It can be completely disorientating to be playing a monster game without direct control over your creatures, I appreciate that. But Yo-Kai Watch 2 is a game that asks for your patience. After an initiation period the cultural context of the game will grow on anyone who has ever had an interest in Japan, and that charm, humour and raw personality of the game carries it through. I’m still surprised that Nintendo ever thought that there would be an audience for Yo-Kai Watch 2 in the west, but boy am I glad that they did.